Today, it is possible to be sitting in your home in Nagaland munching on Korean noodles, while watching an American TV show, dressed in European brands like Zara or Mango while chatting online with someone from Mexico. It has been made possible because people across the world are collaborating and working with each other. They can work with each other because they can communicate with each other and usually that language is English. 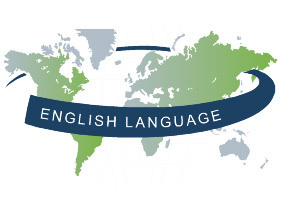 As the world becomes smaller and distances become shorter, English, as a global language, has become one of the reasons for our globalized world. Today with the fast paced development of the economic sector and the phenomenon of rapid globalization seen in the last few years, there has been an enormous expansion in the field of English language learning, and there has been a massive need to learn the language. Learners set themselves demanding goals. They want to be able to master English at a high level of accuracy and fluency. Employers too desire that their employees have good command over English. In this competitive age, a person striving to achieve success either in business or in life must always be at the cutting edge. One has to be thoroughly equipped with communication skills. In other words, the idea is not just learning to speak correctly, but also learning to speak with clarity, precision and in a winsome manner so as to affect the decision making in the marketplace. This calls for English language, the importance of which in the international market cannot be overstated. As an educator, we need to often ask ourselves, how connected we are with the world today, connected with what is happening around the world, and what is happening around us. Let’s take an example of China. During the preparation for the 2008 Beijing Olympic, millions of citizens-from official games staff to taxi drivers to ordinary citizens-got into action by brushing up on their English skills. It is said that during this period English was spoken more in China than in U.S, and now the demand for English teacher continues to surpass supply. The China daily reports that more than 60,000 foreigners are working as English teachers in China, excluding tens of thousands more as part time teachers. Competition with their fellow citizens is not the only thing in the minds of Chinese English students. They are also guided by the patriotic but somewhat anomalous logic that China “needs to keep up with the rest of the world, therefore Chinese people need to learn English.” Knowledge of English language has indeed acted as a powerful tool for development and advancement throughout the world, and fluency constituted a huge step forward in many people’s (countries) struggles for self-sufficiency and success. While I was working in South America as an English teacher in Colombia, I had this one student who would attend my reading club every day. She spoke almost perfect American English. I was amazed to know that she learnt how to speak English through the internet because she couldn’t afford to go to English Institutes as learning English from school was just not sufficient for her. She spent 2 hours every day on rigorous online English study. From what I’ve observed over a couple of years, there is a large difference between our students and those from South America. The competency level is basically the same, but the differential question is this: what makes the Colombian students more proficient and successful? It’s because they are motivated. They know the value of time and they are driven by set goals. Be it an engineering student, lawyer or a painter most of them attend at least two or three months English course besides learning it from schools or colleges. English is increasingly becoming a “must learn” for those who hope to rise above low-level employment in their country. On the other hand, most of our students are relatively casual and ignorant about what is happening around them. Most of our students are too indifferent to see the enhancement aspect of English language in life and career. Nagas, in comparison to other non-native English speakers are appreciated immensely for comprehension of English language, as a majority of the younger generation is not excessively influenced by the mother tongue. Most of the young students have grown up surrounded by media and pop culture which glamorize English. It is encouraging to see that they are gradually becoming aware of the fact that English plays a critical role in this “globalization” phenomenon. To use a stronger expression, English has indeed become the de facto language of choice for communication between different nations in the world. Richer countries have more money to spend on education, resulting in better English training. This in turn results in more economic opportunities at the global level. In light of the current global scenario, the younger Naga generation has a bright future if we are committed to nurturing and guiding them in the right direction. Nagas need to seriously work on the vision towards equipping our students with better English to take charge of their future, to open to new economic, cultural, and educational opportunities.